Today we have a super easy cranberry, brie, and prosciutto grilled cheese that’s simple enough for a busy weekday lunch, yet fancy enough for the dinner table. We love a grilled cheese any season because it’s so quick and versatile, and I found this version really celebrates winter and all its lovely warmth… but that could just be the melty brie talking. I’m a total sucker for melty brie. This sandwich consists of only a few ingredients, but let me tell you… piled up and grilled together… they’re magic. Pure grilled cheese magic, I tell you! 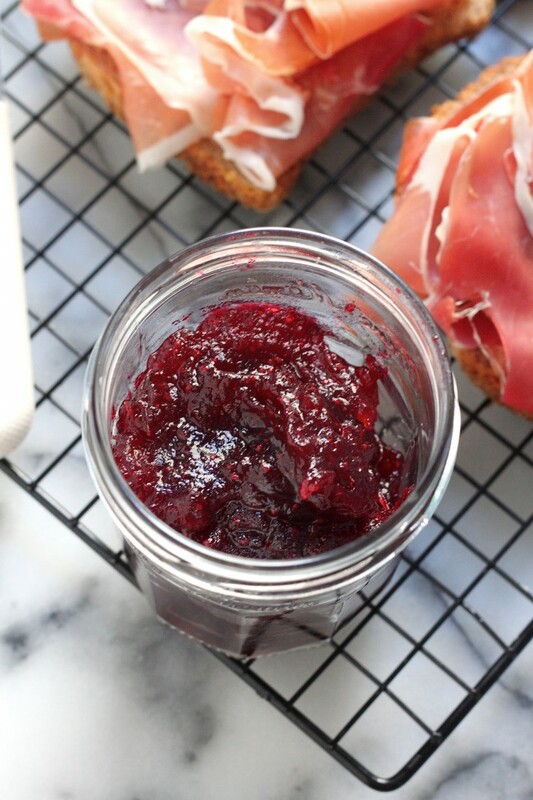 The cranberry jam is sort of the “good marriage glue” between the salty prosciutto and the intense brie, but if you can’t find any, I think raspberry could be a good sub. Or make your own! 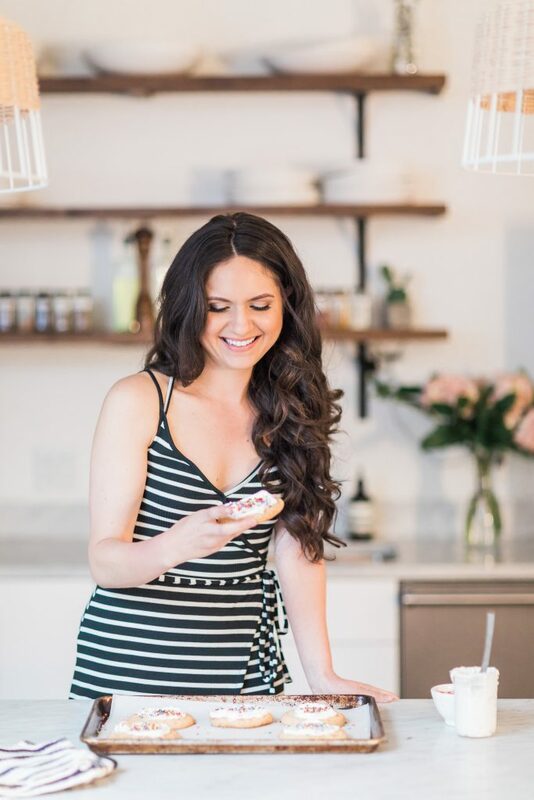 I’ll be sharing our recipe at some point this week 😉 But there are tons of great recipes out there if you can’t wait! Heat a large pan or griddle over medium-heat. 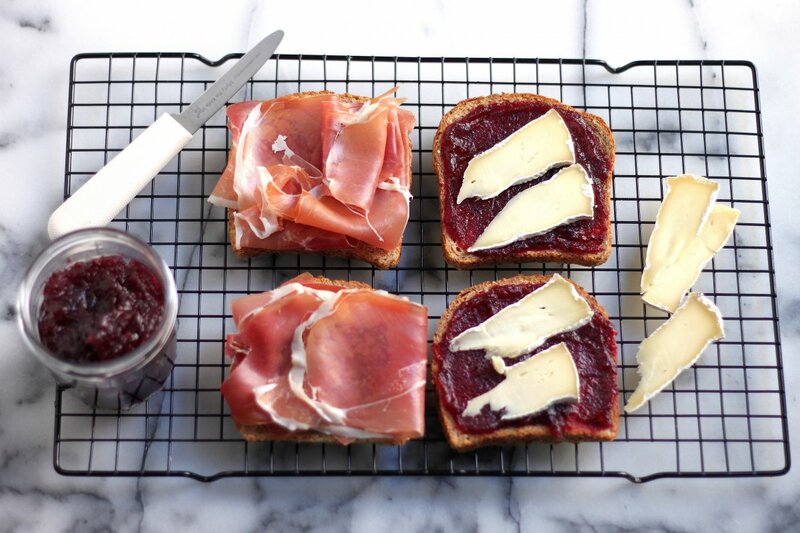 Place bread on a clean surface, then spread one tablespoon of jam onto each slice of bread. Layer 1/2 of the cheese on one side, and 1/2 of the prosciutto on the other side; repeating for all the slices of bread. Slather each side of bread with one tablespoon of butter, then place sandwich in the prepared pan and grill on each side for about 3 minutes each, or until the bread has thoroughly crisped and the cheese has begun to melt. Transfer to a clean plate, and eat at once! This looks so yummy. Brie cheese makes everything so much fancier. Can’t wait to try this Ashley! Um holy sh!t. This looks freaking amazing. I’m a sucker for melted brie as well. This sounds so delicious and I love how simple it is! Gorgeous pictures! 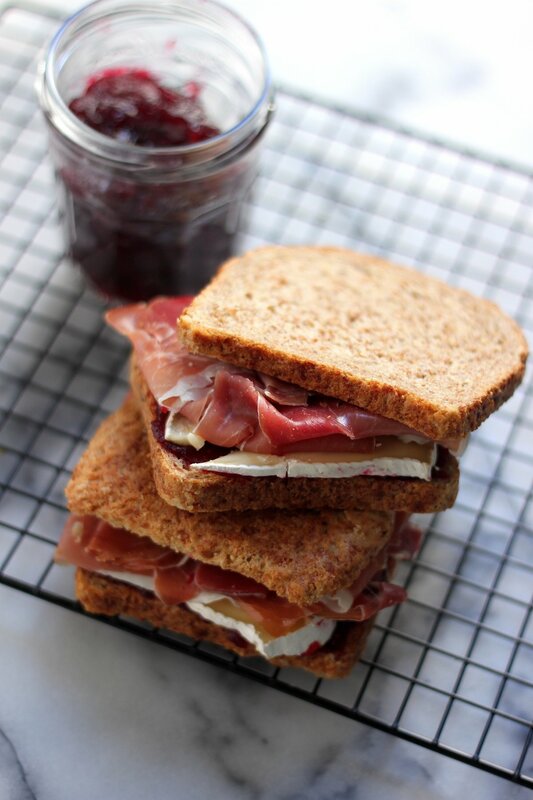 Ohhh how I love the combo of brie + prosciutto + jam. 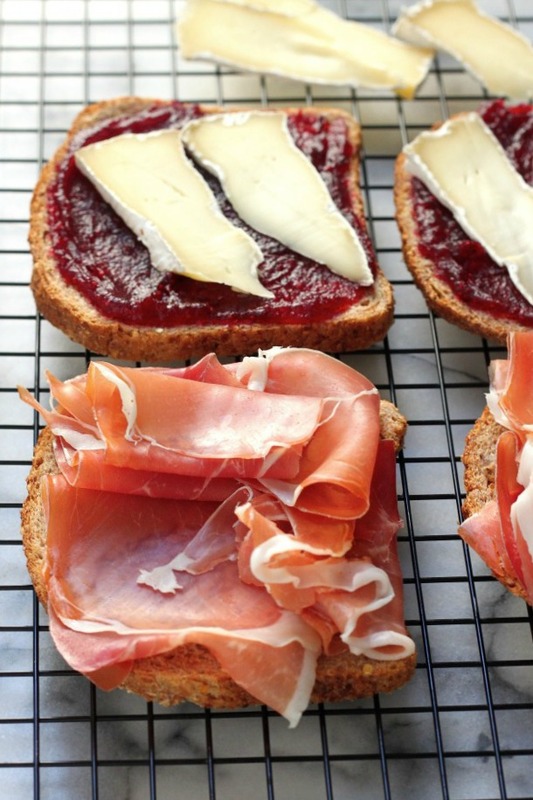 Do you ever buy the fig jam that’s sold in the fancy cheese section of grocery stores? I bet that would be awesome on this as well! I just found tonight’s dinner – love! I’m drooling! Seriously, this is my kind of grilled cheese! You had me at melty brie! Grilled brie is the best kind of grilled cheese indeed. This one looks delish! Ashley, I like the way you think! A perfect balance of flavors between two pieces of bread. Hollllllly goodness. I have no words. L.O.V.E. I wish had this grilled cheese instead of soup tonight! It looks amazing. Excuse my language, but but sh!!t!! This look incredible! Love the sweet, salty + cheesy combo! I can never say no to grilled cheese. It’s the only way to eat a sandwich, in my opinion. This is look absolutely incredible! I need this right now! I’m having a little party this weekend so I might have to break this recipe out as a canape! it just sounds so good! 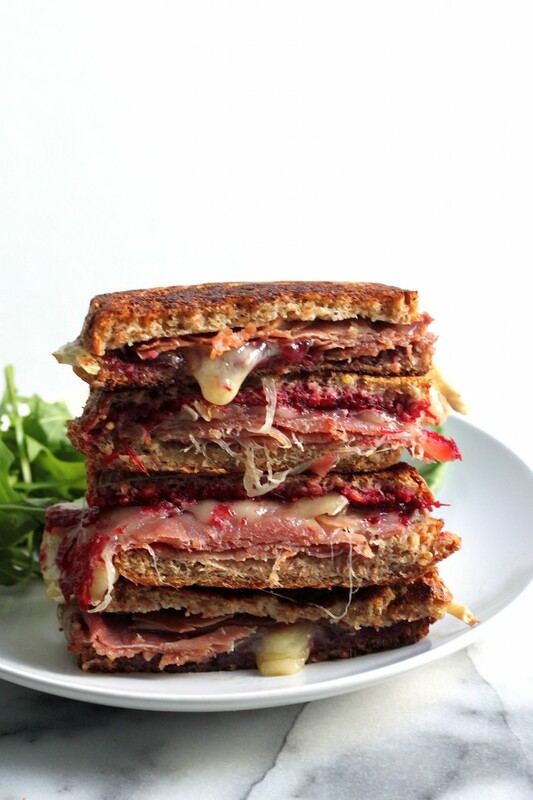 Melty brie..toasty bread…cranberries. This is SO my kind of sandwich. Lovin’ the “Holiday-ed up” version of grilled cheese! OMG! Girl, this grilled cheese sandwich of yours looks divine! We love turkey grilled cheese sandwiches after Thanksgiving with provolone. And, after Christmas we do the same with ham and add fancy mustard. But! 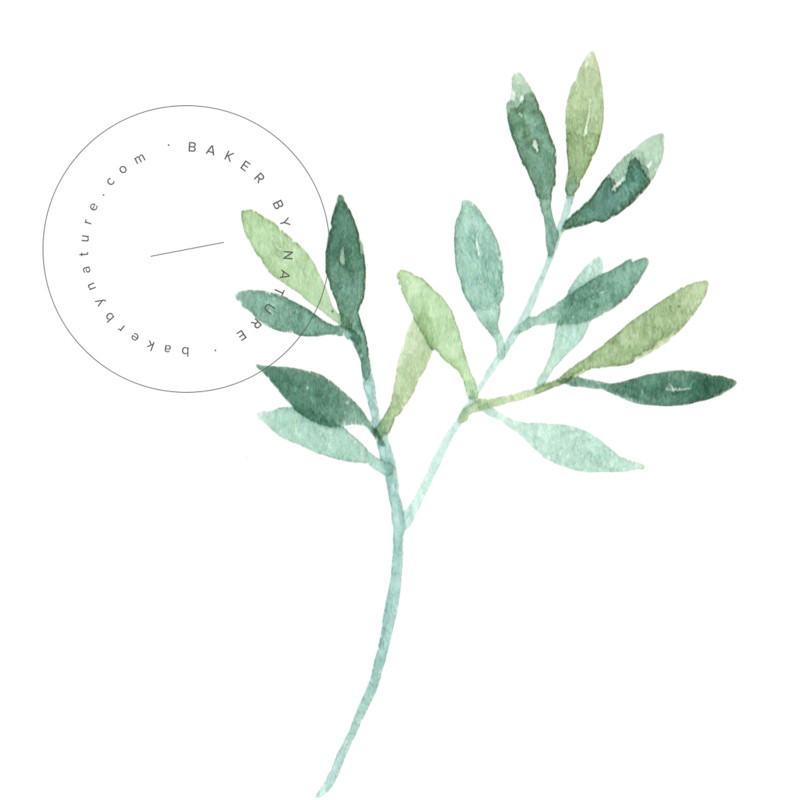 We adore prosciut! And, brie! So, we must make this soon. By the way, guess what my next post is? Cranberry Spice Jam, LOL! Great minds eat alike. 😉 Thanks for sharing! Holy #$%…you just made my wife’s week!! This is her new favorite sandwich. Thank you Ashley!!! For really?!? What an honor! 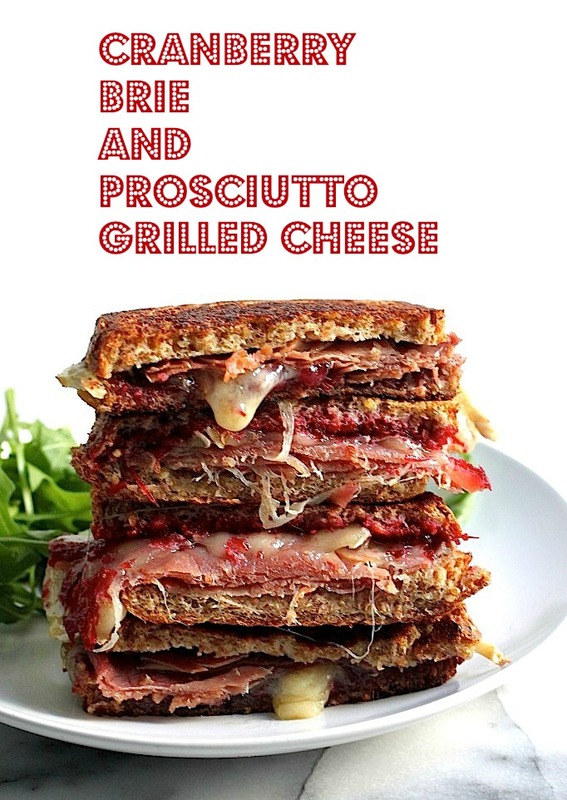 Proscuitto is a big weakness of mine, but with grilled cheese? My heart is pitter pattering, it’s love. I made this with blackberry preserves and omg. Ooooh I need to try it that way asap!